Canonical Attributes and Robots Meta Tags Collide: When a #1 Ranking Is Meaningless. 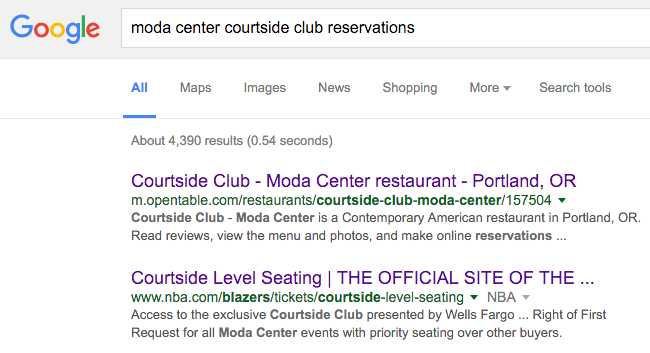 opentable.com ranks #1 for Google organic desktop searches for [moda center courtside club reservations]. SEO accomplished? Maybe not. Huh. The mobile page ranks and not the desktop page. Maybe technical SEO best practices haven’t been implemented for the mobile pages. Well, the mobile page does have a canonical attribute pointing to the desktop page. Is Google just ignoring that? Well, yeah. But why? Is this a bug with Google’s indexing? The mobile page has a canonical attribute value of a desktop page that is blocked with a robots meta tag. If a URL has a canonical value of a page that is blocked with a robots meta tag or robots.txt or that doesn’t return a 200 response code, Google is likely to ignore that canonical directive. The desktop page also doesn’t follow other best practices of a rel alternate media attribute from the desktop page to the mobile page and there’s no redirect in place on the mobile page to the desktop page for desktop users. 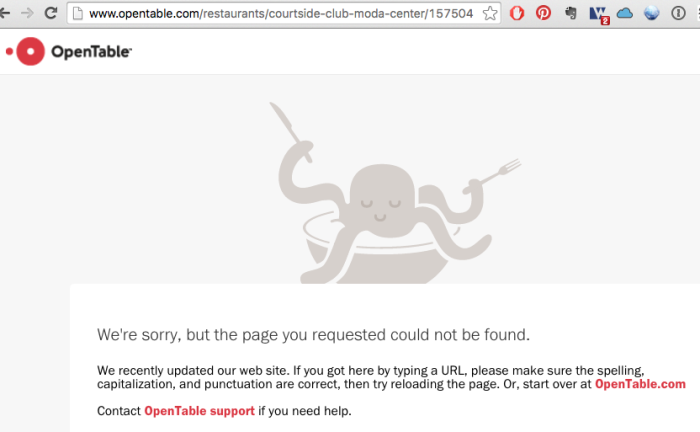 This lack of redirect makes the #1 ranking for desktop users pretty useless for OpenTable and pretty frustrating for users. I can see that the restaurant was booked 10 times today but there’s no way for me to make a reservation! All I can really do is scroll down on the page to find the restaurant’s phone number and then call and make a reservation directly. Which likely isn’t what OpenTable wants me to do. This mobile page doesn’t work at all on the desktop and not only is it lacking a direct to the desktop page, it’s lacking any navigation at all that would let me click over to the desktop page. I’m a pretty savvy internet user though, so I try removing the “m” subdomain. That doesn’t help. Only because I am the nerdiest of savvy internet users do I look at the source code, find the canonical attribute value, and click over to the desktop page that way. Which is when I see why the page has a robots meta tag blocking it from indexing. Weird. The mobile page didn’t say that. It said 10 reservations today! 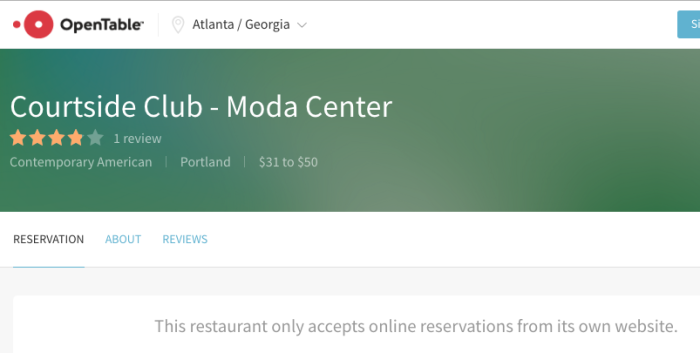 Also, I’m confused because while the map and description clearly say I’m looking at the right Courtside Club in Portland, OR, the breadcrumb tells me I’m looking at a restaurant in Atlanta, GA. But OK. 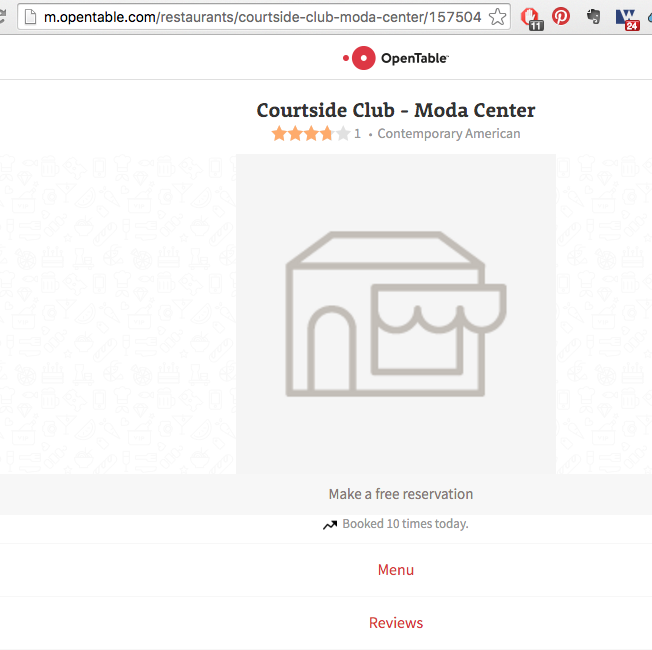 The restaurant doesn’t take reservations via OpenTable so the page has ended up in some non-maintained part of OpenTable’s database with a robots meta tag on it. 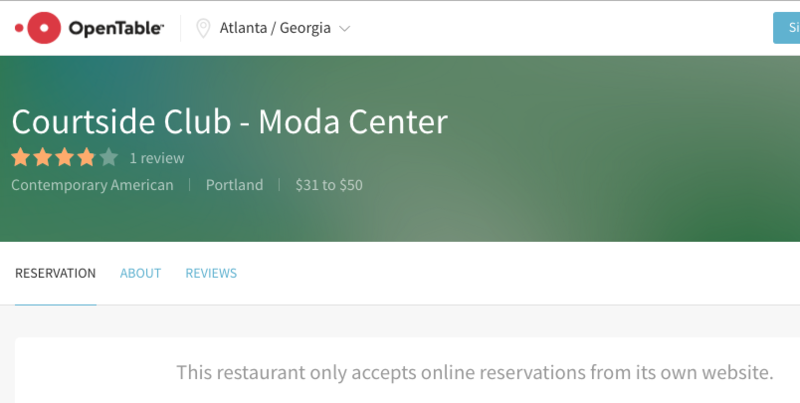 So sure, a lot of stuff is screwed up with the page and ideally, a better user experience would keep users from being so frustrated and with a better perception of OpenTable and maybe even get them to book with a different restaurant, but these things happen, right? Except that when I do the same search on my mobile device, the page sends me to the OpenTable mobile app, which lets me make a reservation. 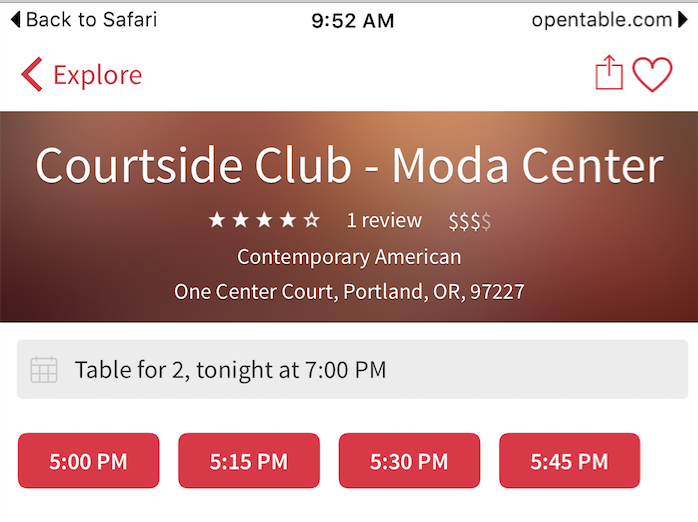 So either OpenTable is missing 100% of the opportunity from desktop users or 100% of their mobile users are making fake reservations. Either way, I think I’m going to call the restaurant to confirm my reservation. In my practice it’s opposite. Google listen to canonical tags nor do metarobots. ex: Page A canonical to the page B, that noindex but canonical to himself. In the SERP i see only page B. If page B has a noindex on it, Google will not index it (even if it has a canonical to itself and page A has a canonical to it).